Graham Arader: Rare Book of the Day: The Natural History of Carolina, Florida, and the Bahama Islands: Containing the Figures of Birds, Beasts, Fishes, Serpents, Insects, and Plants; Particularly the Forest-Trees, Shrubs, and other Plants, not hitherto Described. Catesby, Mark (1683-1749). Rare Book of the Day: The Natural History of Carolina, Florida, and the Bahama Islands: Containing the Figures of Birds, Beasts, Fishes, Serpents, Insects, and Plants; Particularly the Forest-Trees, Shrubs, and other Plants, not hitherto Described. Catesby, Mark (1683-1749). "The most famous color-plate book of American plant and animal life & [and] a fundamental and original work for the study of American species" (Hunt). Second edition, revised by the ornithologist and artist George Edwards (1694-1773), text and plates on paper with various watermarks, first 20 text leaves of volume 2 with page numerals corrected by hand, as often; "DU" on title-page corrected by hand. Catesby's preface details his two journeys to the New World and the development of his Natural History, including his decision to etch his plates himself in order to ensure both accuracy and economy. 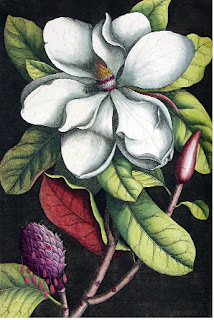 "Instead of perpetuating the previous stiff, profile manner of presentation, Catesby devised the method of mingling plants and animals in logical groupings, most often with accuracy and with proportional scale between figure and plant. He did his utmost to convey something of the particular habits or movements of each species. Simple though they are, he infused his compositions with a sense of movement and vitality not usual prior to his work" (Norelli). 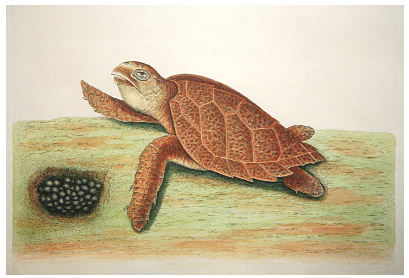 As a young man George Edwards soon found himself in the company of the most influential natural historians, collectors and artists of the 18th-century. Among Edwards' first patrons was Sir Hans Sloane, and he was allegedly taught to etch by Mark Catesby, he worked with the Bartrams of Philadelphia and Linnaeus in Sweden. The first volume of his own "A Natural History of Uncommon Birds" was published to great acclaim in 1743, and gained him nomination for fellowship of the Royal Society although he withdrew his candidacy. 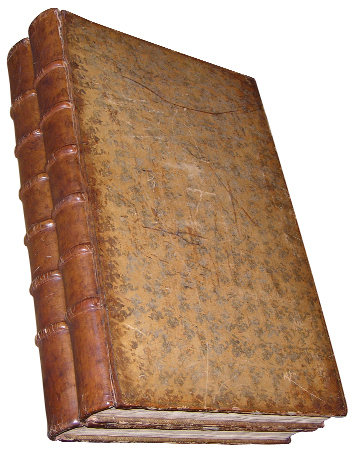 Second and third volumes followed in 1747 and 1750 which won him the coveted Copley medal of the Royal Society. The last volume appeared in 1751 at which time he stated that age and infirmity precluded further work. However in 1758 he published the first volume of his "Gleanings of Natural History", the second in 1760, after which he sold his entire portfolio to the Marquess of Bute,"resigned as bedell to the College of Physicians, and retired to a house in Plaistow. 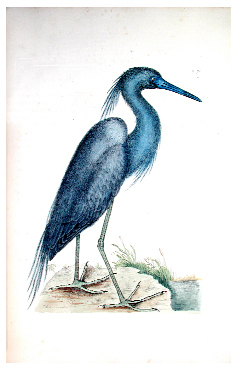 From there he still visited the college and the Royal Society and, stimulated by his drawings of South American birds captured from the French by Earl Ferrers, published a last volume of "Gleanings." in 1764. We intend to have the lowest prices on ABE, Alibris, Biblio, AE, and Artnet while maintaining the highest levels of quality in the business for every offering. To inquire or view the complete offering, please contact our curators at info@aradernyc.com or call our 72nd Street NYC gallery at (212) 628-3668.